While checking to see when Season 6 of Game of Thrones will be starting (April 24th, fyi), I discovered a video that Entertainment Weekly posted recently, featuring Emilia Clarke, Gwendoline Christie, Natalie Dormer, Lena Headey, Sophie Turner, and Maisie Williams (separately) discussing which characters they think would make the best and worst Queens of Westeros. There doesn’t seem to be much consensus on who should be sitting on the Iron Throne, but [SPOILER!] 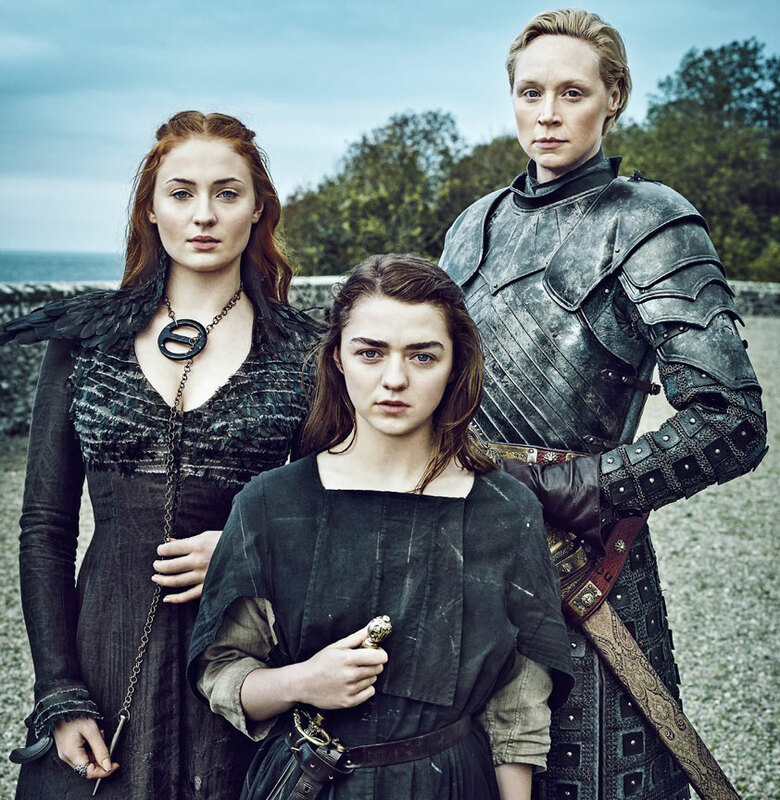 they all agree that Cersei needs to be kept as far away from political power as possible! True dat. Sadly Yara, Meera, and The Sand Snakes were all excluded from the poll… and none of the actresses who play them were invited to the magazine’s fancy photo-shoot either. Boo! This entry was posted in Rants about TV and tagged Arya Stark, Brienne of Tarth, Cersei Lannister, Daenerys Targaryen, Emilia Clarke, Game of Thrones, Gwendoline Christie, Lena Headey, Maisie Williams, Margaery Tyrell, Natalie Dormer, Sansa Stark, Sophie Turner. Bookmark the permalink.